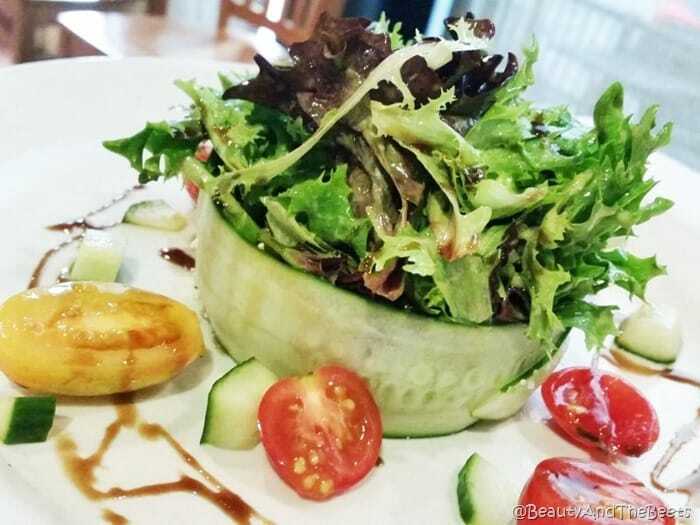 Zinc Brasserie is actually a French inspired restaurant with a separate menu for the bar area known as Hearth Tavern. 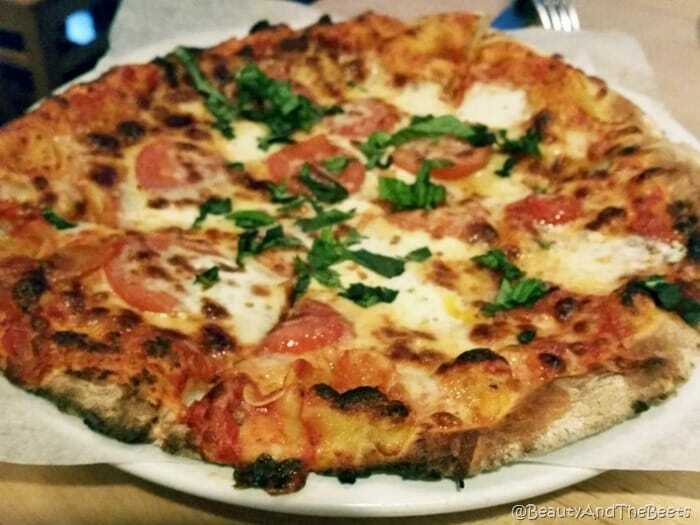 The Hearth Tavern serves appetizers, salads, and wood-fired pizzas. Mr. Beet and I grabbed a table in the bar area and ordered a couple of appetizers to curb our hunger. 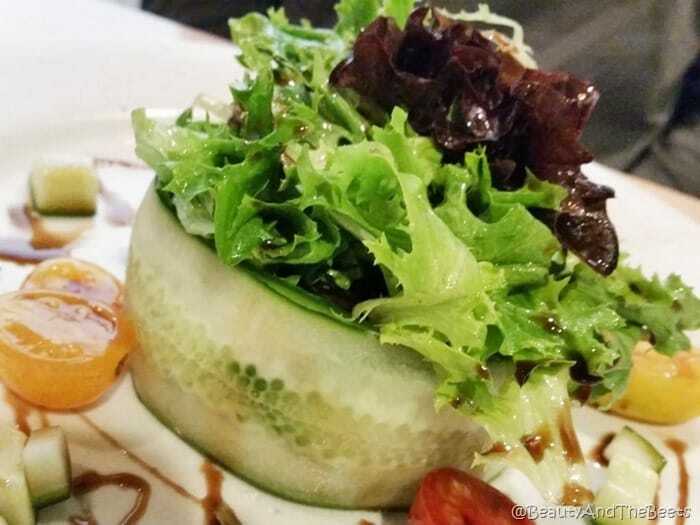 We ordered the Green Salad, served wrapped in a cucumber. Very clever. 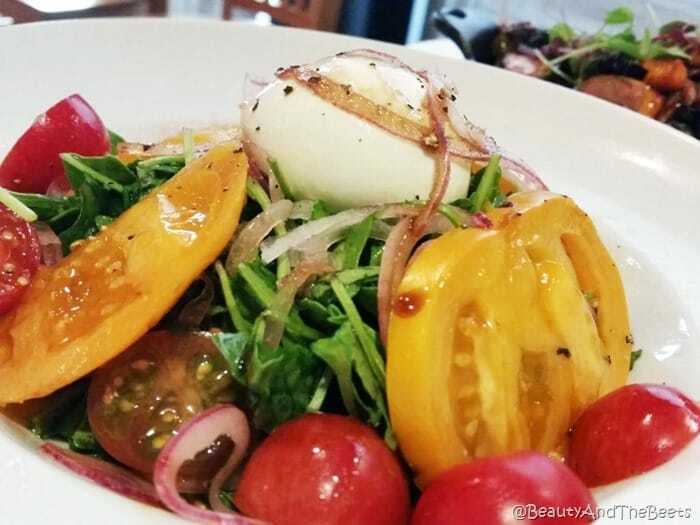 I also tried a salad with tomatoes and burrata cheese, a special appetizer. 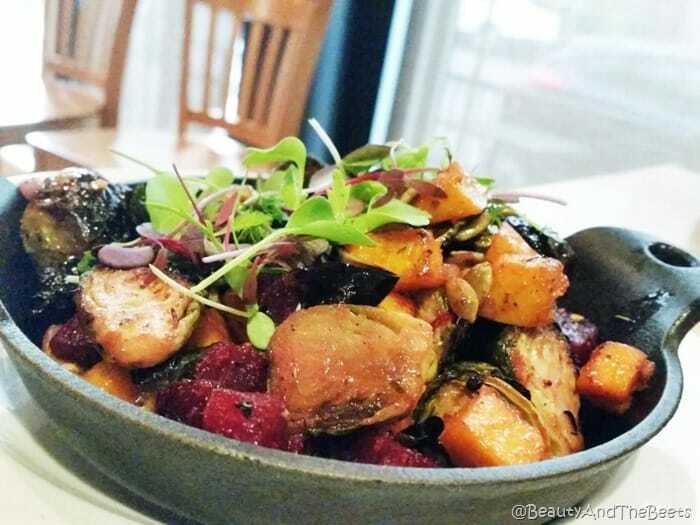 We also tried the Brussels and Beets appetizer – a collection of Brussels sprouts, roasted beets, butternut squash, and pumpkin seeds. It was delicious. 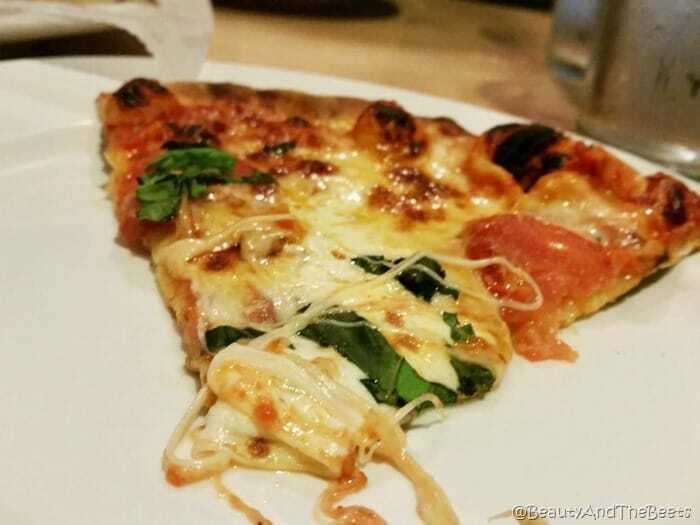 Lastly, we ordered one of the wood fired pizza pies – the Margharita. Not too thin, not too thick, small enough to be eaten by one person as a meal, or two to share as a snack. The Hearth Tavern is very cozy and a great place to grab a drink and a lite bite. 4 1/2 out of 5 sprouts.